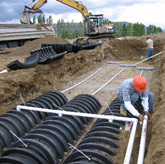 Onsite wastewater systems, commonly referred to as septic systems, are an integral part of any site design at which connection to public sewer is not feasible. 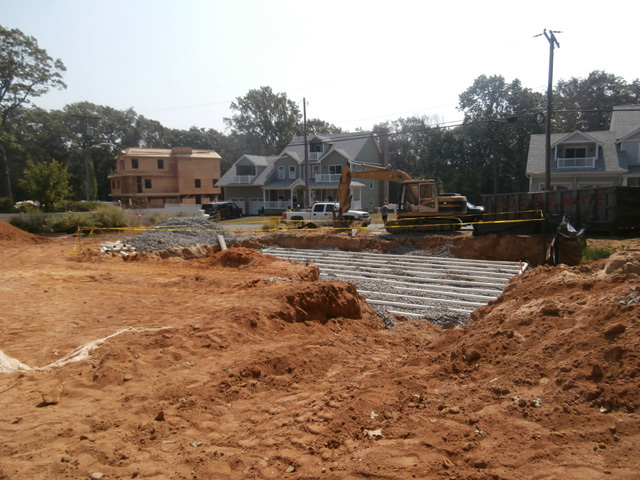 For those constructing a home, business, restaurant or other development, or owners of a property with a malfunctioning system, InSite can provide septic design, permitting and construction observation services. 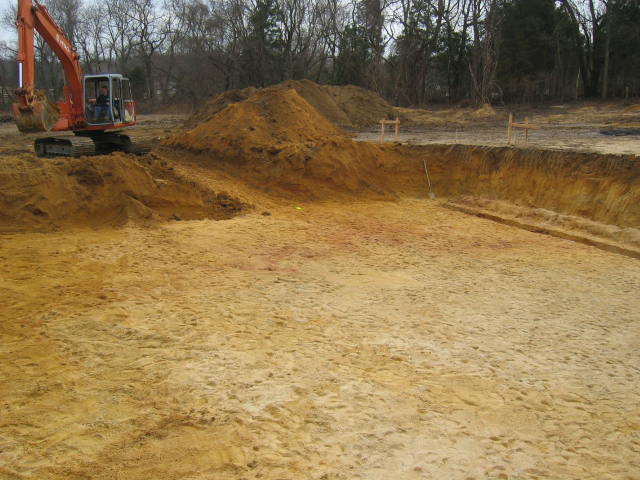 We are well-versed in New Jersey’s state standards for individual subsurface sewage disposal systems. 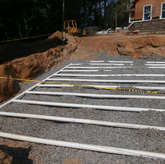 Traditional gravity system – gravity does the work to move the wastewater from the building, through a septic tank, and finally to the disposal field. Traditional gravity dosed system – wastewater flows from the building, through a septic tank, then to a pump tank which pumps the wastewater to the disposal field where it is dispersed by gravity. Traditional pressure dosed – wastewater flows from the building, through a septic tank, then to a pump tank which pumps the wastewater to the disposal field where it is dispersed under pressure. 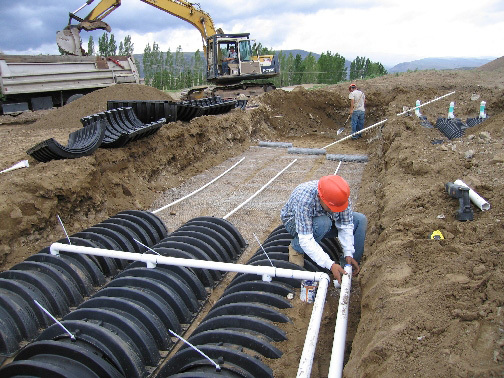 If properly designed, constructed, and maintained, the septic system can provide environmentally safe, long-term effective treatment and disposal of wastewater. Our goal at InSite is to value engineer every system to best serve the intended use. 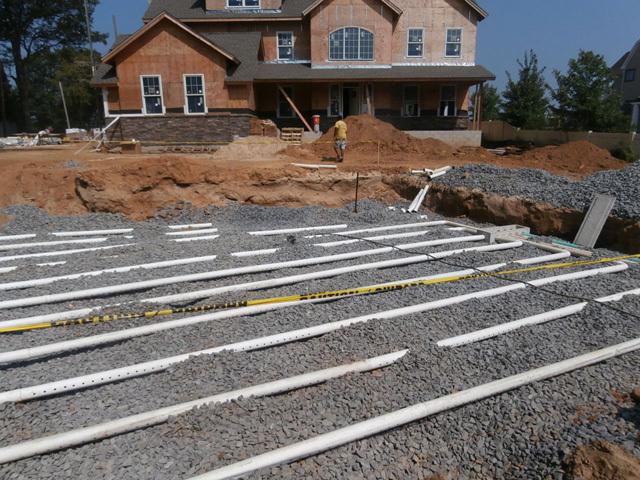 All aspects of the location, design, construction, installation, operation, and maintenance of new septic systems associated with new construction must fully comply with the most current state regulations. 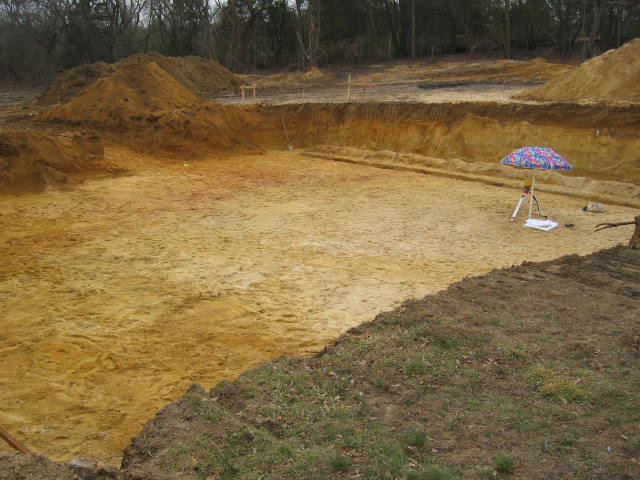 Evaluation of the soil and its permeability are critical to the design of new systems and will dictate the right solution for your property. We can provide expert insight to you every step of the way. 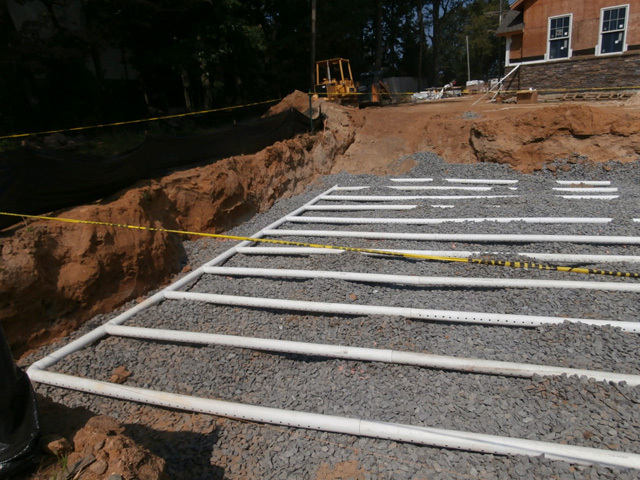 InSite is proud to have designed and secured numerous approvals for advanced wastewater systems throughout New Jersey, even before New Jersey’s regulations recognized advanced technology. 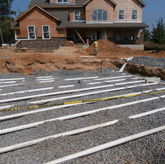 Some properties have constraints that preclude the use of traditional septic systems. 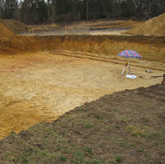 The constraints may be shallow groundwater, soils with little to no permeability, rock outcroppings, space constraints, steep slopes, or a combination of several constraints. We have the experience to explore options for advanced treatment, advanced disposal, or both. Advanced technology offers many benefits including real-time monitoring and significantly extending the life of the septic system. Examples of advanced technology include aeration tanks, peat biofilter systems, drip dispersal, chamber systems, UV disinfection, and telemetry monitoring. Because of these benefits, some property owners elect to install advanced systems even when the property can support a traditional system. We are happy to discuss the advantages of advanced technology as you consider solution alternatives for your property. In many cases, malfunctioning systems can be corrected without having to build a new system. We will review options with you in an effort to extend the life of your system while keeping cost at a minimum. 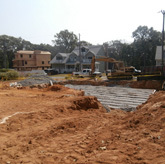 We will assist you in evaluating your existing system to determine if a partial or complete rehabilitation is required. We will work with you to determine the most cost effective approach to get your system back up and running. Some properties produce high strenth wastewater (such as restaurants). Wastewater may be considered high strength due to the presence of “FOG” (fats, oils, and grease), which is common with food preparation facilities. Other causes of high strength wastewater are high levels of BOD (biochemical oxygen demand) and TSS (total suspended solids). If left untreated, high strength wastewater can cause a disposal field to fail prematurely, which results in costly repairs and disruption of service. 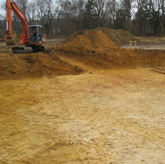 We will work with you to design a system that will protect your disposal field and properly serve your facility.